Large by huge with a healthy dose of luxury and class, 1961-63 Lincolns have become a favorite among car crafters. 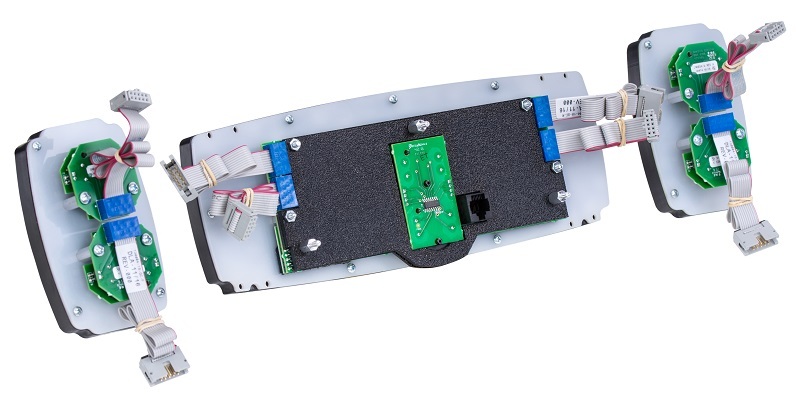 This direct fit (with some modification to the interior of the stock instrument cluster) analog instrument system perfectly fills out the three rectangle gauge bezels with six needles as well as dual LCD message centers. Choose from Black or Silver Alloy face styling, and ask not what your Lincoln can do for you, but rather what you can do for your Lincoln. This system requires permanent modification to the inside of the stock instrument cluster, providing clearance for the new instrumentation. Please review the installation mounting manual for specifics. Fits into stock bezel (bezel is NOT included). 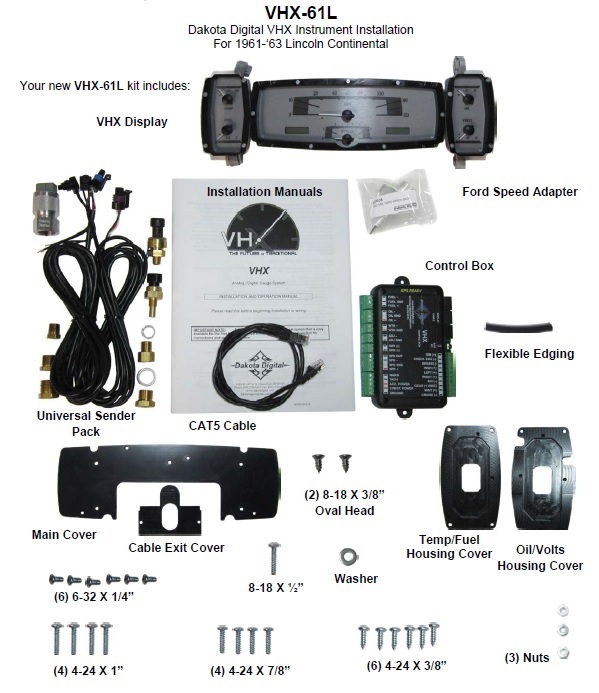 Cable Drive Speed Sensor/Generator - Replaces Ford and/ or GM style speedometer cables with a 10 ft harness.